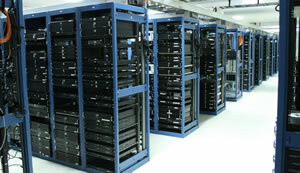 A web host basically provides you with the computer space where your website will live and connects it to the Internet for the world to access. There are thousands of different web hosting providers out there. From small Mom and Pop shops to huge corporations. The types of web hosting packages available are probably equal in number. So what makes a good web hosting provider, and what type of web hosting services should you choose? I’m actually going to focus on the first question. How to find the right web hosting company. If you find a good honest reliable provider then they will help you make the best decision for which hosting package best fits your needs. Sure, you can price shop all you want. But having the cheapest web hosting bill on the block means nothing when your website is down and no one is answering the phone at your web hosting provider. If you just want to have your own website for a hobby, then it really does not matter. But if this is for your business you need your site to be working 24/7. If something goes wrong you need someone who knows what they are doing to fix the problem ASAP. I started my first website in 1999. For many years I hosted with a small web hosting provider. In many ways it was great. I called and talked to Tim whenever I had a problem. There were only 3 people in the whole company who did tech support. But Tim was my go to guy. But one major problem with that small company was that they were only open Mon thru Fri 9 to 5. After that, you could leave a message with their answering service. If it was an emergency you could have them page the tech who was expected to be on call. I don’t think I ever received a call back from that tech after hours…even when my site was down. So then I moved to one of the biggest web hosting providers out there…Hostgator. At first, I was very happy, 24/7 phone support. But then Hostgator was bought out by an even bigger web hosting corporation called EIG in 2012. After that, the reliability and support went down the drain fast. Cutting corners are often what large corporations like to do when trying to beef up the bottom line. If you call Hostgator for support expect to wait on the phone for 40 minutes. Just for fun…try it. Don’t call sales…they answer quickly. Call support. Time it. When you do talk to someone it is not an actual server administrator. So they really can’t help you much. Expect to be put on hold a lot before your fun on the phone is over. Wow…They Answer the Phone and Fix It. So after much frustration with Hostgator, I started researching web hosts. The fruit of all of my effort was that I moved to a web host called Liquid Web. I would love to say that the move was problem free. It wasn’t. The main site I was moving is large and complicated. But if I call Liquid Web they will answer the phone within 1 minute. When they do answer it’s an actual server administrator. Someone who can actually fix a problem. Websites are often made up of many software applications. Sometimes one software will conflict with another. Sometimes there are configurations that need to be done with the software. With a host like Hostgator, they take a “not our problem” attitude when there are problems with software you may have installed on the server. Their only job is to keep the server running. It’s your responsibility to maintain and configure the software that you install. I’m a computer nerd, so for me, that is not a problem most of the time. For anyone without a technical background, this can be a nightmare. Liquid Web’s slogan is “Heroic Support”. Believe it. They will not only help you with any server related issues but will do their best to help you with all of the software that is on the server. Even 3rd party software that you may have installed. Almost every tech I have had contact with has gone way out of their way to help me. I say almost because every company has lazy people who do not do their job. So if you do catch a dud, call back and you will get someone great. Definitely, do your own research. But for myself, and my clients, I am strongly recommending Liquid Web. Full disclosure, all of the links in this post are affiliate links. Which means if you decide to use Liquid Web as your web host after clicking one of the links, I get a few bucks. That is actually not why I’m recommending them. You can bypass my “kickback” by just typing it into a search engine instead. First and for most I want you to not have to worry about your web hosting and move on to more important aspects of growing your business.